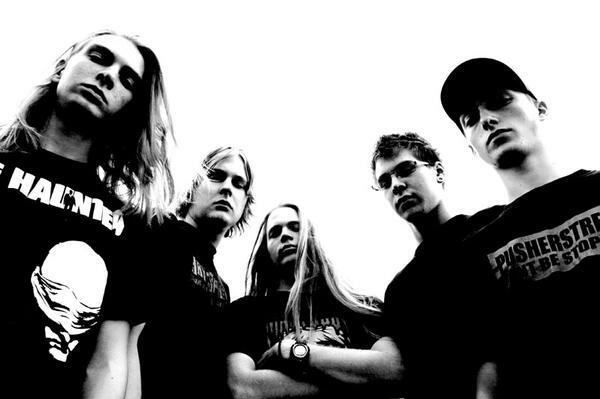 MUDSLIDE was formed in 2002 and consists of a handful of young musicians that, despite their young age (all 18 years of age), succeed in giving even some of the greatest Danish metalbands a lot of competition. The genre, which the band generally prefers to define simply as “metal”, is a mixture of elements from the modern melodic thrash-metal, deathmetal Göteborg-style, and vocals that range from deep growls to high-pitched screams and a melodic clean vocal – a lethal cocktail filled with raw energy that rips through your senses and limbs. Johan Örnborg) - and will be releasing this shortly. Regardless of the young age of the members in MUDSLIDE, they already have already got quite a bit of experience. On top of having played before hundreds and hundreds of people, they have released 4 demos and an EP - ”Primitive Future” (2003), ”Downfall” (2004), ”Satan Gold” (2004), ”Demo 2005” (2005), "Idioglossia EP" (2006) – that all reveal a rapid progression over the past few years. The band is constantly working on developing as musicians and as a band and on improving their music, as well as pushing it to the extremes.